The Bootsie's Delta Funk BBQ history is a family story that goes back nearly 100 years. That's when the family of the brand's co-founder, Adrian Boyd, began developing their barbecue recipes in Tunica, MS. Those recipes were passed down from generation to generation, but it wasn't until recently that they were released to the world. 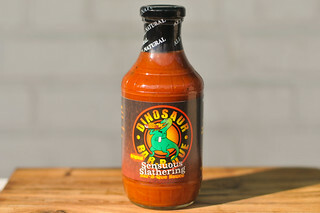 The Bootsie's brand was born when Adrian partnered with with Peter Grumbles and Anish Elam to start commercially producing his sauces and rubs. Adrian did put his own spin on the sauce though, which brought in influences from Indian cuisine that he attributes to wife, Latha. Bootsie's Delta Funk BBQ is currently located in Pope, MS and is selling four different sauces and three unique rubs. The first thing to strike you in the aroma is a strong smokiness. 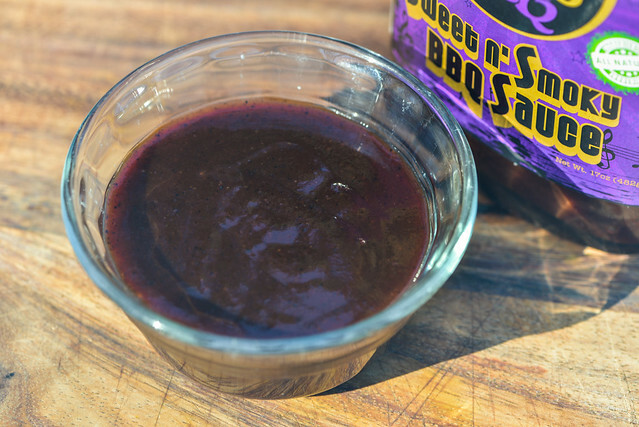 This is definitely more pronounced than your average sauce, but also has the familiar barbecue backings of molasses and sugar. This gives the sauce a "bold" character where the smoke, acidity, and molasses take over the more subtle notes in there like honey and garlic. There's also a very strong Worcestershire component at play and a fair amount of earthy spice, which hints that a peppery heat awaits in the taste. This dark maroon sauce is very smooth and has a glossy sheen. It's mostly opaque, but in the right light you can still see a plethora of spices that are mainly small specs in black, white, and orange. The sauce has a medium-thick and lightly syrupy consistancy, which has it falling in a quick and steady pour off of a suspended spoon. Once most of the sauce has left the spoon, the flow changes to a few slow drips, then stops, leaving a medium coating of sauce still clinging to the silverware. The first taste of the sauce is like a spoonful of honey and is notable for the texture created by a ton of fine spices. Quickly, molasses comes into play to add depth to the sweetness, and the tomato works its way in next to solidify an early barbecue flavor. You start to get a smokiness and acidity around the same time, but neither turn acrid and they both balance well with the sugars. 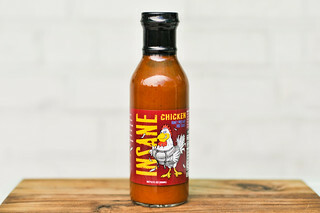 Next the sauce gains a ton of complexity, first by way of Worcestershire, then by the spices which bring in tastes of garlic, onion, and ginger before gaining an earthy heat that builds to a tongue tingling spiciness by the end. The smoke, sugars, and acids remain in play the entire time, creating a complex and very addictive aftertaste. This sauce coated the chicken in a medium, even layer that baked down very well over indirect heat. When moved directly over the coals, there was no sauce loss and only light caramelization. The final leg had a very attractive maroon color to it. Its flavor was much like out of the jar—very robust with a lots of excellent layers. The sweetness was played up a bit, making the heat have not quite as much as a punch, but all the flavors from out of the jar were there and working well together. 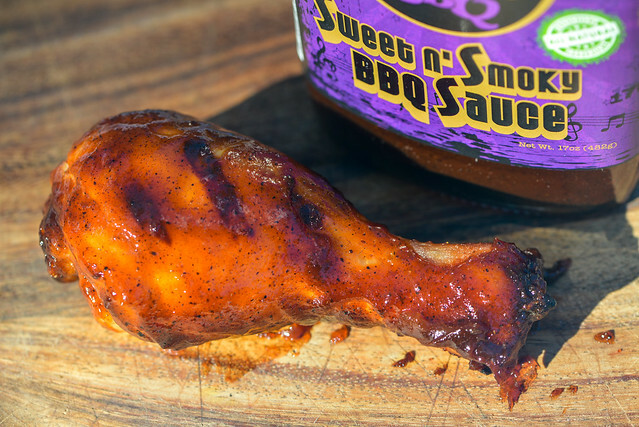 You got the honey and molasses sweetness, fruity tomato, tangy vinegar, complex Worcestershire, balanced smokiness, and all those delicious spices in every bite. 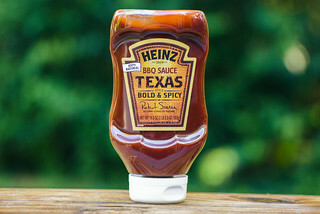 The "bold" barbecue sauce category is not one I commonly fall for—more often than not the flavors are pushed too smoky or too acidic to create a pleasing balance, but I feel like Bootsie's Sweet n' Smokey kind of fits in as bold sauce, but does everything right. The flavors are strong and impactful, but also balanced and well crafted. You get a strong sweetness, smokiness, acidity, and heat and all are in harmony together, delivering a ton of flavor both out of the jar and after being cooked. Because of this, it could really work its magic on anything you want to use it on—it was great slathered on chicken, but would hold its own on a rack of ribs, steak, burgers, pork, etc. 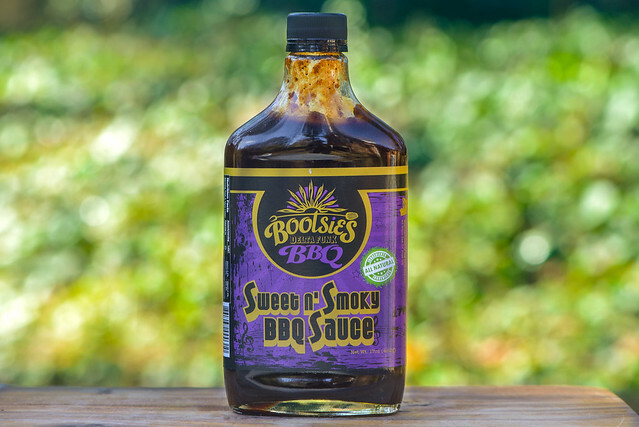 If you're looking for a sauce that delivers on big barbecue flavor in the best way possible, Bootsie's Sweet n' Smokey is for you.